GT USA Wilmington has begun work on the initial set of major improvements at the Port of Wilmington and is on track to complete warehouse improvements and dock and crane rail extension on schedule in the coming months, announced Chief Executive Officer Eric Casey. Extension of the dock and crane rail should be completed this summer at a cost of $17 million. Also, in process is enhancing warehouse storage by increasing racking for palletized cargo and upgrading the roof to improve safety and security. “In the coming months we’ll commence work to upgrade the cargo throughput capability from 350,000 TEUs to 600,00 TEUs and add capacity for roll-on roll-off cargo,” Casey said. UAE-based port operator Gulftainer has signed a 50-year concession deal with the state of Delaware to operate and develop the Port of Wilmington. Under the agreement, which was signed by Gulftainer’s subsidiary GT USA, the company would invest will see an expected investment of up to USD 600 million in the port to upgrade and expand the terminal and to turn it into one of the largest facilities of its kind on the Eastern Seaboard. The investment includes USD 400 million on a new 1.2 million TEU container facility at DuPont’s former Edgemoor site, which was acquired by the Diamond State Port Corporation in 2016. Plans for the port also include development of all cargo terminal capabilities at the facility and enhancement of its overall productivity. 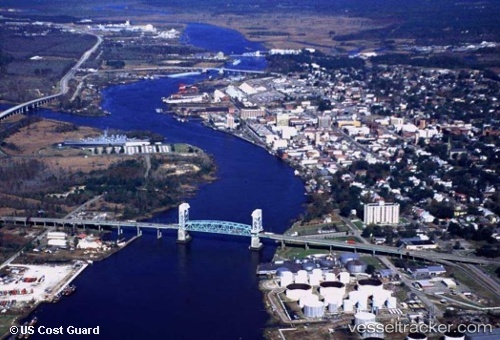 (Bloomberg) — The Port of Wilmington in North Carolina remains shut in the aftermath of Hurricane Florence, freezing shipments of everything from fertilizer to textiles. Florence dropped as much as 40 inches (102 centimeters) of rain in some places as it passed over Wilmington on its way through North and South Carolina. Several major surrounding highways were flooded, limiting access to the coastal city and the port. The port said Tuesday that it plans to start receiving vessels at the end of the week and resume truck operations on Sept. 24.